The grounds of the beautiful 16th century Thwaites Mill watermill museum, nestled on an island in south Leeds, is the truly breathtaking backdrop for the much loved one day event, Made in Leeds Festival. Each year the event is curated by a group of clubbing brands from Leeds – the party masterminds that have helped shaped the city’s nightlife. Each one brings their own unique and individual style to the Made in Leeds dancefloor. This year, the four arenas were powered by Funktion One sound systems – supplied and managed by Leeds audio company, Audioserv Ltd.
Five Res 5Ts and three F221s per side provided even coverage for Federation. For the Sleepin is Cheetin Arena, four Res 5Ts and three F221s per side were used, again covering the audience of two thousand people with ease. Rollinson said.“We work all year round with the clubs involved with Made in Leeds festival, so it is great to see them together within one event. 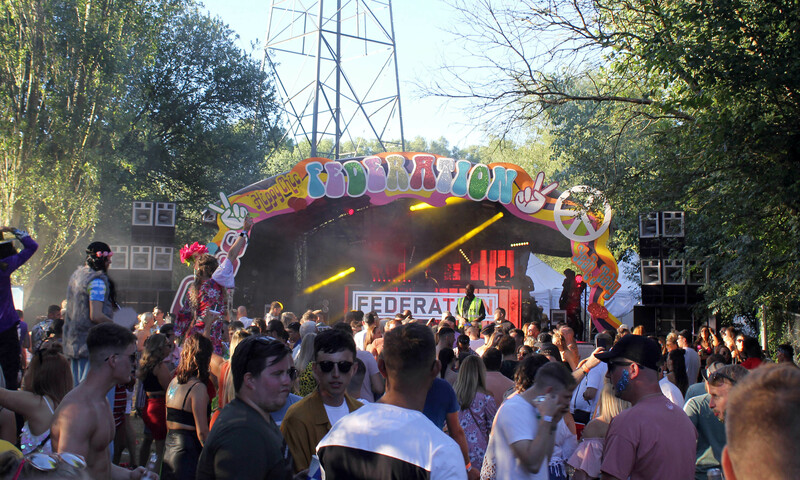 They asked specifically for Funktion-One for the event last year and it worked so well in the two main areas, that this year it was specified for every stage.